Instituted in 1960, the Tibetan Parliament-in-Exile is the highest legislative organ of the Tibetan refugee community. The creation of this democratically elected body has been one of the major changes that His Holiness the Dalai Lama has brought about in his efforts to introduce a democratic system of administration. The Parliament consists of 46 members. U-Tsang, Do-tod and Do-med, the three traditional provinces of Tibet, elect ten members each, while the four schools of Tibetan Buddhism and the traditional Bon faith elect two members each. 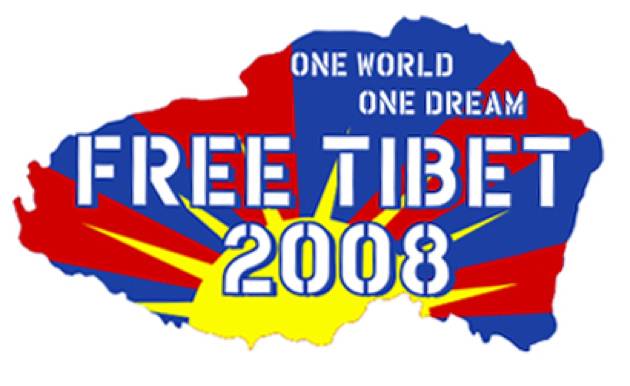 Three members are elected by Tibetans in the west: two from Europe and one from North America. In addition, one to three members with distinction in the fields of art, science, literature and community service are nominated directly by His Holiness the Dalai Lama. Sessions of the Parliament are held twice every year, with an interval of six months between the sessions. However, His Holiness can summon special sessions of the Parliament in the case of national emergencies. When the Parliament is not in session, there is a standing committee of twelve members: two members from each province, one member from each religious denomination, and one member who is directly nominated by His Holiness the Dalai Lama. As representatives of the people, the members of the Parliament undertake periodic tours of Tibetan communities to make an assessment of their overall conditions. On their return from these trips, they bring to the notice of the administration any specific grievances and matters needing attention. The Tibetan Parliament-in-Exile keeps in touch with people also through Local Parliaments established in 38 major Tibetan communities. The Charter provides for the establishment of a Local Parliament in a community having a population of not less than 160. The Local Parliaments are scaled-down replicas of the Tibetan Parliament-in-Exile. They keep an eye on the activities of their respective settlement/welfare officers. They also make laws for their respective communities according to the latter?s felt-needs. The laws passed by the Local Parliament must be implemented by the respective settlement/welfare officer. The Central Tibetan Administration (CTA) was first established in Mussoorie on April 29, 1959, soon after His Holiness the Dalai Lama reached India. Then in May 1960 it was moved to Dharamsala, and is now located half way between Kotwali Bazaar and McLeod Gunj, in an area named Gangchen Kyishong. Gangchen Kyishong is a Tibetan phrase meaning "happy valley of snow". The departments which make up the CTA work towards the Tibetan people's struggle for independence and survival. They function according to the Charter of Tibetans in Exile which is, in effect, a constitution based on modern democratic principles. Though a plain and utilitarian substitute for its far more splendid namesake in Lhasa, also known as the Jokhang, the Tsuglag Khang is nevertheless fascinating and peaceful. Situated opposite the residence of His Holiness the Dalai Lama, Tsuglag Khang is known to the local Indians as the Main Temple. It houses three main images: that of the Sakyamuni Buddha, Padmasambhava and Avalokitesvara, the Buddha of Compassion, of whom the Dalai Lama is the current emanation. The principal image is that of Sakyamuni Buddha, measuring three metres high and made of gilded bronze. To its right are the images of Padmasambhava and Avalokitesvara which are both facing Tibet. In addition, Tsuglag Khang houses the entire set of the Buddhist canons, Kagyur and Tengyur. Kagyur is the direct teaching of the Buddha while Tengyur is the collection of later commentaries on Kagyur by Indian Buddhist scholars. In 1992 a new prayer hall was added to the Tsuglag Khang complex with fine frescoes of the Kalachakra tantra cycle. The Central Cathedral is also the site of public prayers, sermons and certain religious festivities, including monastic dances. A constant stream of devotees turn prayer wheels as they circumambulate the cathedral. The Office of His Holiness the Dalai Lama (OHHDL), known in Tibetan as Kuger Yigtsang, is the personal office of His Holiness the Dalai Lama. It provides secretarial assistance to His Holiness and broadly speaking, is responsible for all matters related to His Holiness and acts on His behalf. Handling all diplomatic, governmental and personal correspondence, on behalf of His Holiness the Dalai Lama. Acting as the liaison between His Holiness the Dalai Lama and officials of the Tibetan Government-in-Exile. When His Holiness is in Dharamsala, His schedule includes His daily religious practice as well as handlings matters relating to the Tibetan Government-in-Exile that needs His attention. This includes meetings with members of the Kashag (Cabinet) as well as senior Tibetan governmental officials. In addition to these, His Holiness takes the time to meet with as many people as possible. Although in the initial years His Holiness had a flexible and relaxed schedule, with increased travel programs throughout the world since the mid-eighties the workload at OHHDL has also increased tremendously. When His Holiness is in Dharamsala, OHHDL organizes opportunities for public audiences at regular intervals. The date and timing of these meetings are decided as the situation permits and are normally done at short notice, two or three days before the actual audience. During public audiences, individuals have the opportunity of greeting His Holiness in a receiving line. Given the nature of the meeting, individuals are not permitted to bring any articles, including bags, cameras or books, with them. The Tibetan Branch Security Office [Tel: (01892) 21560] located in McLeod Ganj (near Hotel Tibet) coordinates requests for the public audience. People attending these public audiences need to register in person at the Tibetan Branch Security Office. Foreign tourists need to bring their passports at the time of registration. The registration forms then need to be brought to the venue at the time of the audience for identification purposes. Requests for private audiences are carefully screened and studied. Applicants are asked to provide detailed information on themselves as well as the specific reasons why they want to see His Holiness. Private audiences are usually scheduled three times a week, on Mondays, Wednesdays and Fridays. In general requests for individual meetings need to be made far in advance. We will be unable to entertain requests made at short notice. His Holiness also takes the opportunity to interact with members of the media. As there are many requests for private audiences we try to limit media interviews to one during an audience day. Members of the media need to submit their requests far in advance to provide time for their review by the Special Review Committee and if approved for scheduling. His Holiness gives several major Buddhist teachings throughout the year, both in India and abroad. For the latest schedule of His Holiness' public teachings. His Holiness the Dalai Lama tries to accommodate as many requests as possible for His participation in events throughout the world. These include invitations for various religious, social, cultural and political events. For those individuals or organizations outside of India who wish to invite His Holiness we encourage them to send their invitations through the office of the Representative of His Holiness the Dalai Lama (also known as the Office of Tibet) in their region. Since the representative offices are responsible for organizing the visits of His Holiness in their area, they would be in a position to provide more information about the feasibility of the requests. Upon acceptance of the invitations, OHHDL coordinates with the representative office the schedule of His Holiness the Dalai Lama during His trip. The Tibetan children's Village runs a chain of fifteen schools, with over ten thousand students, in different parts of India. The main village, known as the Upper TCV, is based on a hill two kilometres from McLeod Ganj. It educates and looks after the upbringing of about three thousand student, most of whom are orphans and new refugees from Tibet. Upper TCV consists of thirty eight homes, four hostels and a baby room to care for months-old infants through to boys and girls of sixteen. It has modern school buildings ranging from nursery to high school, sports grounds, staff quarters, a dispensary, a handicraft centre, etc. These are spread over an area of about forty three acres.